Yeah, that's true. Only sometimes it takes years for that to happen, the place I grew up in close to the Netherlands hasn't really seen snow in ten years, once it had snowed it was gone pretty much the next day - impact of climate change really visible here..
Have you ever had snow in Melbourne? I reckon the weather would have to be very very extraordinary for that to happen, am I right? But you know..over here in Europe even Rome just recently experienced snow.. However during winter you can drive 30 minutes to an hour out of the city into the mountains and there is tons of snow. 1 to 3 hours from Melbourne are lots of ski resorts too. Check out Mt. Buller. I'm quite happy it doesn't snow here. People wouldn't be prepared for it and it would be chaos. But luckily the snow isn't far. The city was named after a flagpole made from a local Ponderosa Pine tree, by a group of folks all way from Boston, Mass. It was located in a now local park (Thorpe) and a small plaque commemorates the occasion. Old town flagstaff was built on the banks of the Rio de Flag at a place called Leroux tank, its now covered over by urban sprawl, however in the time when local indian tribes used to dominate the area before white man the small villages were located closer to a town called Baderville which is about 8 miles north of the current city. There was the headwaters of the Rio de flag known as Leroux Springs and was a vital resource for most of the population of Northern Arizona as it was easier to access than Oak Creek, Walnut Creek, Colorado River, and wasn't intermittent like the Little Colorado River and many other streams in the desert. Most of the towns history is built on four things. 1.) The Railroad built by the now absorbed Atchison, Topeka, and Santa Fe Railway company, they were instrumental in founding the town and why some people decided to stay even when the line was completed and even today there are folks who employed by BNSF (Burlington Northern and Santa Fe Railway) who work to maintain the busiest railroad corridor in the US. We can see upwards of 100 trains passing through the town each day heading to either LA or Chicago. 2.) Timber, Flagstaff has had a long history with logging and paper industries and you can see evidence of it all over the landscape inside and outside of town, from the time first Sawmill was built in the 1880s the town has been synonymous with the chopping of lumber and sawing of logs, our local university sports team at NAU even styles themselves the lumberjacks. Some of that lumber went to constructing a dam to the south of town that created Lake Mary, a now hot bed for fishermen and tourists. Most of the water the town uses is also drawn from Lake Mary. A few times these sawmills burned to the ground though some were rebuilt most were not and many of the locations of where these old mills were located are now part of the city itself though they are not forgotten, Milton Road that connects I-17 to historic route 66 runs through a small annex that was originally its own town known as Mill Town, Aspen Place at the Sawmill located on Butler Avenue was the location of the old Riordan Sawmill. The demise of the timber industry in the 1930s depression saw almost all of the timber industry vanish from Flagstaff only remnants remain of the mainstay of the town. 3.) Percival Lowell was a kind of strange man he once claimed he could see canals on Mars, however on closer inspection it turned out to be an optical illusion from his telescope, some speculate he was looking at shadows of the blood vessels in the back of the retina in his eyes. silly old man! . His expeditions for a place for optimal viewing of the night sky lead him to the top of Mars Hill, the town would adopt itself as being the 1st international dark sky city that dedicated itself to keeping light pollution to a minimum and preserving the view of the sky for astronomers. on top of that hill he not only saw canals (or should I say phantom images) on mars and venus, he would later go on to search for Planet X and had taken notes on various objects that he observed. He unfortunately died before he could find that planet, however his assistant Clyde Tombaugh would use his notes to locate a small body that would be photographed and given the name of Pluto. Many years later the IAU would see to it that Pluto be demoted to a 'dwarf planet'. such a shame. 4.) The Grand Canyon, it would be silly of me to not mention it lies only 90-110 miles from the edge of town depending on which road you take. Tourism to this place is what drives the economy here these days, basically the town would be in a dire straights without that saving grace. Flagstaff even brands itself as being the gateway to the Grand Canyon as most tourists will end up staying here as there is only so much accommodation available in Grand Canyon Village and Tusayan. There is next to nothing on the Indian reservations for tourists to stay so here and Williams are the only choices you really have if you want to stay within a 2 hour drive of the spectacle everyone has to see once in their life. However there is so much that you can see in Northern Arizona while you are here, and Flagstaff is a nice central location for you to be able to reach all the great sights. Really interesting information you've shared there Callipso! I would certainly keep Flagstaff in the back of my mind when I'll be visiting the US one day. Pretty awesome idea for a thread! I've been living in the US for the past 2 years, but I was born and spent most of my life in Gdańsk, Poland. 1. 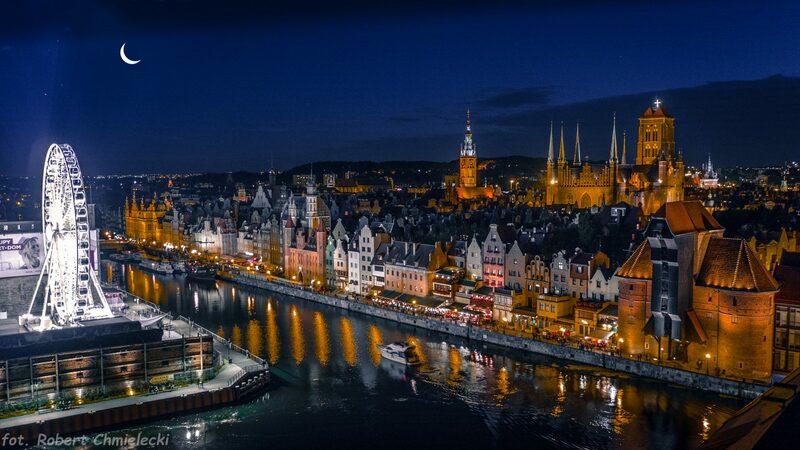 Gdańsk is one of the oldest cities in Poland (it is officially assumed it's been founded in 997) and has some crazy political history, having belonged at various points of its existence to 15 different political entities. That included incarnations of Poland, Germany/Prussia (when it was known as Danzig), Teutonic Order and there were even 2 periods when it was declared a self-governing Free City. 2. Also, it is there where the WW2 began on the 1st of September 1939. 3. Even though almost entire Old Town area was destroyed during WW2 and rebuilt, the whole complicated history has gifted the city with some amazing architectural gems spanning from gothic to baroque, including one of the biggest brick cathedrals in the world. 4. The Solidarity (Solidarność) trade union that ended up effectively overthrowing the communist regime in Poland (ever heard of Lech Wałęsa?) was founded in Gdańsk in 1980 after workers' protests in Gdańsk Shipyard. This forced Polish government to be the first in the Eastern Bloc country to start giving concessions to the people, some 2-3 years before the others. The newly built European Solidarity Centre in the city now sells a lot of gadgets with the slogan "Freedom was born in Gdańsk" and that is by no means an exaggeration. 6. Gdańsk has the oldest technical university still in existence in Poland, established in 1904. 8. Historically, one of the biggest regional exports was amber. Nowadays, Gdańsk hosts the biggest amber trade fair in the world. 9. In the recent years, Gdańsk (and the whole tri-city area, together with cities of Sopot and Gdynia) has built an extensive bicycle road network and now it's one of the most bicycle-friendly cities in the country. 10. One of the craziest trivia for me is that even though Gdańsk is a coastal city (although it lies between the sea and some small moraine hills), before WW2 it was known for being a... winter sports destination. The most popular were speed-skating, luge, bobsleigh and even ski jumping, for which the city had 2 small hills (here and there; unfortunately, nowadays there's almost no trace of them ). Okay, I think it's time to reopen this topic. I'm one of about 26,000 that live in the town of New Lenox, located about 40 miles away from Chicago in Illinois, USA. What is today the village of New Lenox was first settled in the 1820s and New Lenox Township was established in 1852 when the Rock Island Railroad was built between Chicago and Rock Island. The town was originally called Tracey in honor of the general superintendent of Rock Island Railroad. The town wasn't officially named New Lenox Township until 1863. 83 years later, on October 4, 1946, the town was officially designated as a village by our state government. 1. The nickname of New Lenox is "The Home of Proud Americans", referring to our quality of life. 3. We've had a number of sports stars coming from here. They include Alex Broadhurst (center for the NHL's Chicago Blackhawks), Tony Cingrani (pitcher for the MLB's Los Angeles Dodgers), Ned Grabavoy (former MLS player and current scouting director for the MLS's Portland Timbers), Rob Ninkovich (retired defensive end for the NFL's New England Patriots), and Eric Steinbach (former guard for the NFL's Cincinnati Bengals and Cleveland Browns). 4. If you ever decide to come here (you most likely never will), the common "meeting point" for the town is "The Commons." Most festivals, chamber events, and stage performances take place here, in an area near village hall. There really isn't any more you need know about where I live. It's basically just another typical American town. I live in Luleå, Norrbotten county, Sweden. - With its 449 964 square kilometres, Sweden is the fifth largest country in Europe after Russia, Ukraine, France and Spain. From Treriksröset (The three country cairn), the most northern place in Sweden, to Smygehuk, the most southern place in Sweden, it is 1 572 kilometres. Compare that to the 1 496 kilometres between Smygehuk and Rome. - Norrbotten county is the northernmost of Sweden's 21 counties. It is Sweden's biggest county, 98 911 square kilometres. That's more than twice as big as Denmark, and almost a fourth of Sweden's area. Most of the area is above the arctic circle. - Sweden's highest mountain, Kebnekaise, 2 097 metres above sea level, and the deepest lake, Hornavan, 232 metres deep, are both found in Norrbotten county. - The railroad Malmbanan goes from Luleå to the port of Narvik and connects to the iron mines in Gällivare and Kiruna. Malmbanan has the highest amount of freight traffic in Scandinavia. - There is also an iron mine in Pajala, from which the iron is transported by truck to Malmbanan in Svappavaara outside Kiruna. The trucks used are 5-axle Volvo FH16 with 750 horsepower and a 5-axle trailer. A fully loaded truck and trailer weights 90 tonnes! - Luleå is the 25th largest town in Sweden with a population of 44 057 people. The industry in Luleå is mainly about steel. - Facebook's first computer center outside of the United states are located in Luleå. They chose Luleå because of the cold climate and the cheap electricity and renewable energy from the water power in the many rivers in northern Sweden. The computer center are the largest in Europe with 84 000 square metres. - The first indoor shopping center in the world opened in Luleå 1955. I hope you learned something interesting, at least I find these facts interesting. I live in a small village 3 miles away from Ballingarry, Co. Tipperary. Ireland has a population of only 4.5 million people. Before the 1840s, however, the number was double that. Ireland has two official languages: English and Irish. Many efforts have been taken to preserve Irish, by making it compulsory in schools and displaying it on most road signs. The majority of Irish speaking people live in the Gaeltacht (Irish-speaking areas located in several places across Ireland). Ireland's capital city is Dublin (Baile Átha Cliath), a city of about 1 million people. Ireland is not one whole nation: about one-sixth of the island is owned by the UK - Northern Ireland. Its existence has caused political issues over who should rightfully own it, which led to "The Troubles" in the late 20th century. Ireland has 4 provinces (Munster, Leinster, Connacht and Ulster) and 32 counties. Ireland attracts millions of tourists every year, and it's no surprise as Ireland hosts beautiful scenery (e.g. the Burren and the Cliffs of Moher, Co. Clare, Dingle and Killarney, Co. Kerry and Connemara, Co. Galway). The patron saint of Ireland is St. Patrick (who isn't Irish, but from Wales). He introduced Christianity to Ireland. Every year on March 17, parades are held all over the country to celebrate him. Ireland's highest mountain is Carrantuohill, Co. Kerry (1,038 m). Its biggest lake is Loch Neagh in Northern Ireland. In the 1840s, the Great Famine struck Ireland. It was caused by potato blight, and because potatoes were the most grown crop, it hit nationwide. One million people emigrated to countries like America and England. This led to the decline in population as well as the Irish language. At least 1,000,000 people died. The Namib Desert here is the oldest desert in the world (about 500 million years old) and supports the most life out of all the deserts in the world. Plus the Fish River Canyon is the largest canyon in the Southern Hemisphere and the second largest in the world (after the Grand Canyon). We also have a lot of uranium that we ship to South Africa and around the world. And we have lots of different ethnic groups that live here. We were a German colony from 1884 until 1915, when the South African Army took control of what was then German South-West Africa in World War 1. 1. The 2 longest bridges in Europe, the first being Ponte Vasco da Gama (13 km) and the second being Ponte da Lezíria (~ 11 km). 2. It was Portugal that created the “Via Verde” system, which was later used in other countries as an Electronic Toll, and worked in the whole country. That means Portugal was the first country to adopt the electronic tolls, making them work on the whole country. 3. We have one of the best footballers in the world (C. Ronaldo) and one of the best managers in the world (José Mourinho).